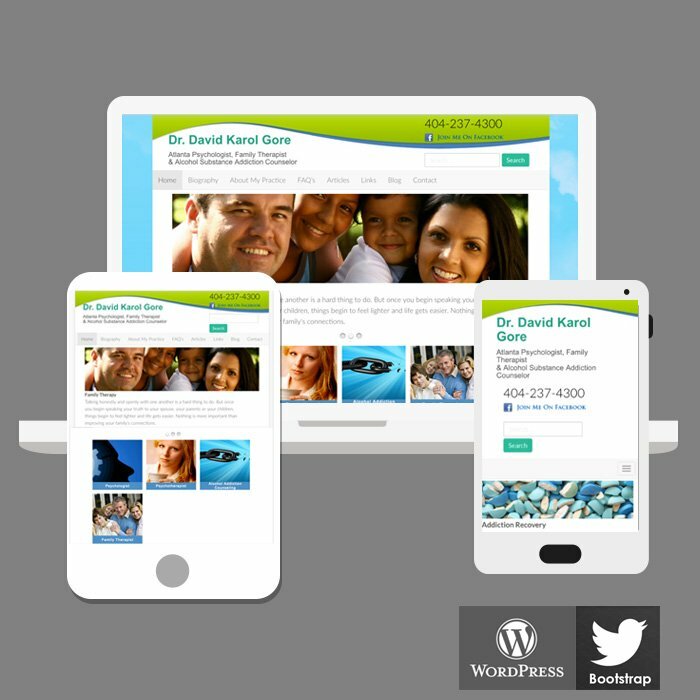 Dr. David Gore is a psychologist practicing Alpharetta, GA. We re-designed his corporate website using html5, mobile-friendly using the Bootstrap4 framework on a WordPress site and optimized the images and content to improve the site’s load time. Dr. Gore’s goal was to integrate his growing social media audience into his website. His WordPress blog is optimized to push to multiple social media channels and by integrating SEO keyword research and competition analysis, we dramatically improved his search results.